Our mission at Bjorlie Chiropractic is to provide our patients with high quality, affordable health care in a caring and comfortable environment. Our chiropractic website is especially designed for health-conscious folks in Fargo. As a chiropractor, I get to help people who suffer from a variety of health issues. Naturally, chiropractors help traditional neck and back problems, but chiropractic has also produced wonderful results with a variety of problems you wouldn’t normally associate with the spine. Chiropractic is safe. Chiropractic is natural. And Chiropractic works! 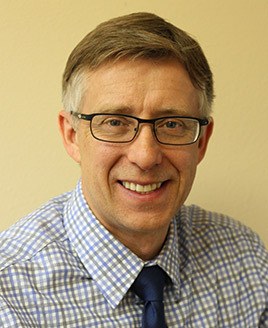 Find out why other Fargo-area residents are choosing the chiropractor committed to patient education and understanding in Fargo. Call Bjorlie Chiropractic today and find out if you’re a good candidate for today’s chiropractic care! I liked the fact that the staff listened to my concerns. Dr. Bjorlie was very personable and friendly, and made my appointment as comfortable as can be, not to mention I feel great every time I go in for an adjustment! It was so nice that Dr. Bjorlie took the time and had the patience to explain what was going on and what he intended to do. He was very gentle and knowledgeable. He also took the time to listen to my history and what was helpful to me in the past. A very positive experience! Great job Bjorlie Chiropractic very friendly and professional, knowledgeable care. I’ll be back. and will be recommending you. I just arrived back at my office and feel great after my first appointment. The pain I normally feel in my back is non-existent. It is a wonderful feeling not having pain that I have endured for 30+ years. Excellent relief experienced on first visit. Very warm and welcoming staff, very nice first impression! Thank you!